Remember the days of covering your doors/books/cabinets/everything, in stickers? When a trip to the dentist was made all the better when presented with a brightly coloured shiny one, to wear on your chest as a sign of bravery? 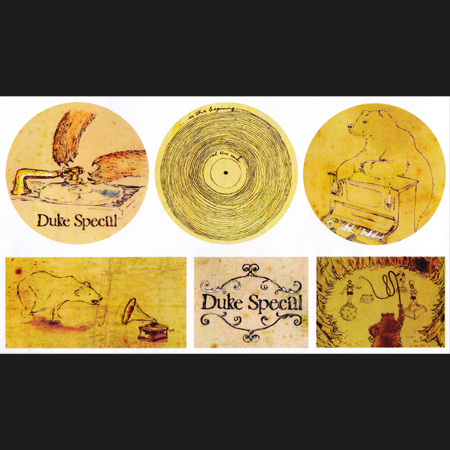 Re-live all those happy memories with the Duke Special sticker pack! Stick them in all your favourite places, or stick them on an enemy’s back to turn them into a walking Duke billboard.